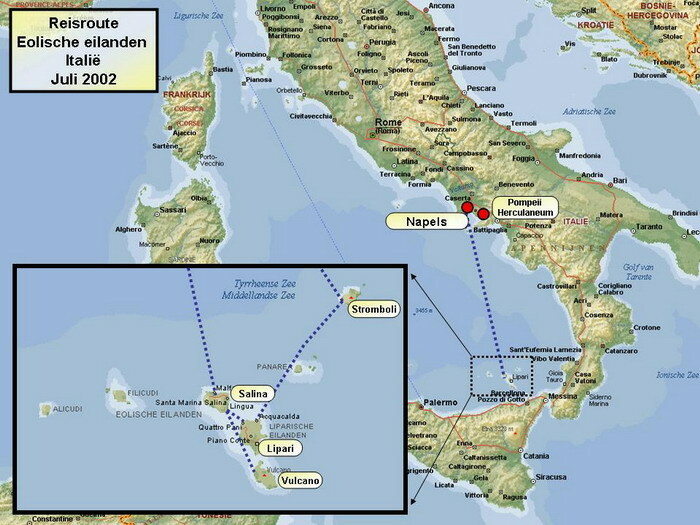 In the springtime of 2002 I went to the Aeolian Islands with Joker for 10 days. These islands are situated between the mainland of Italy and Sicily. The trip started in Naples with a visit to Pompeii and Herculaneum. Afterwards we explored the different picturesque islands (Salina, Lipari, Vulcano, Stromboli) with the climb of the active volcano Stromboli as climax.